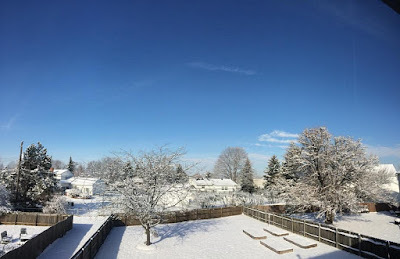 Stuck In The Buckosphere: Season's first decent snow and COLD! Season's first decent snow and COLD! 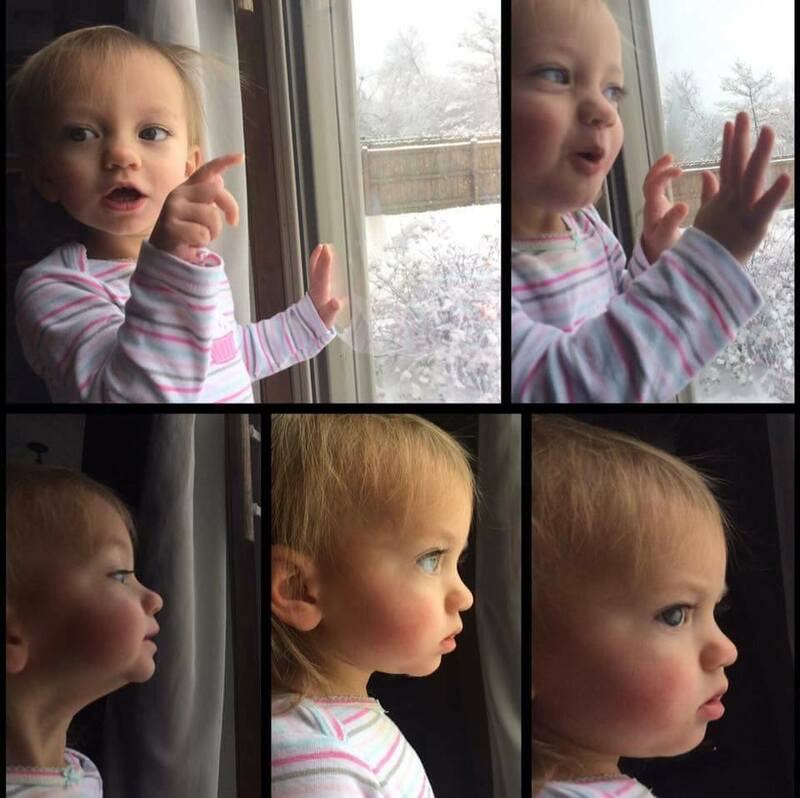 Summer took her morning nap Tuesday and by the time she woke up the snow had blanketed the snow and she had a LOT of emotions with regards to the snow. It was adorable. She always wants to go outside and so I put on her snow suit and brought her outside. She was great! 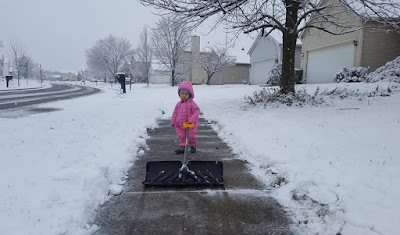 No crying and kept running around and trying to drag the snow shovel as well. 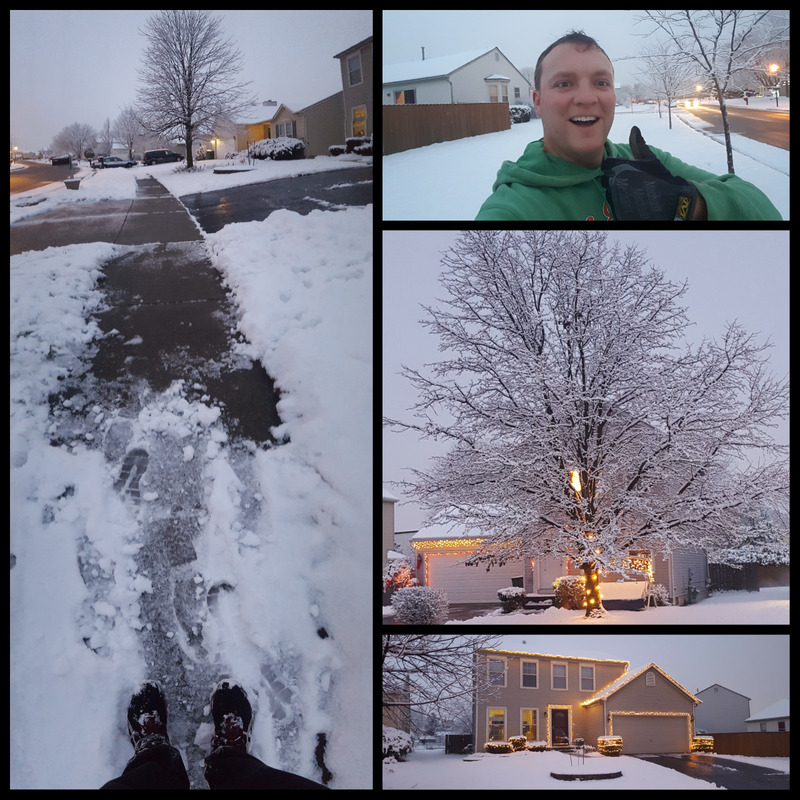 I followed up shoveling and putting patio furniture in the attic with a run around the neighborhood. The Christmas lights were coming on as I was finishing my run. It was a very peaceful run. Yesterday the sun came out for the winter wonderland. With the winds still light yesterday the snow was very pretty on the trees. 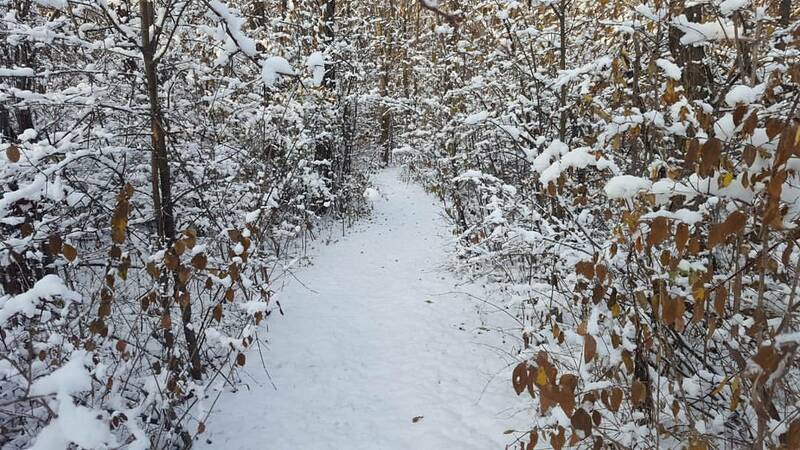 The woods by our park was still untouched when I went for my run. 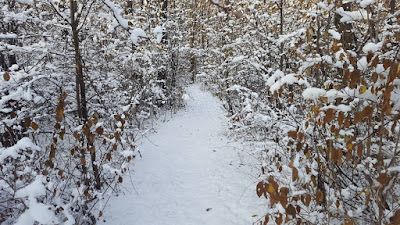 It was fun running through a snowy woods. I would say forest, but it's too small for that. 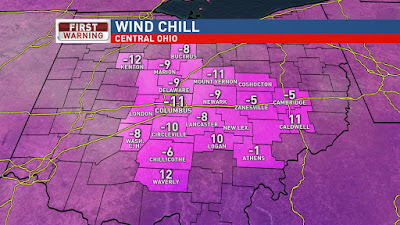 Wind chills this morning are VERY cold. Bundle up! The sun will be deceiving today. 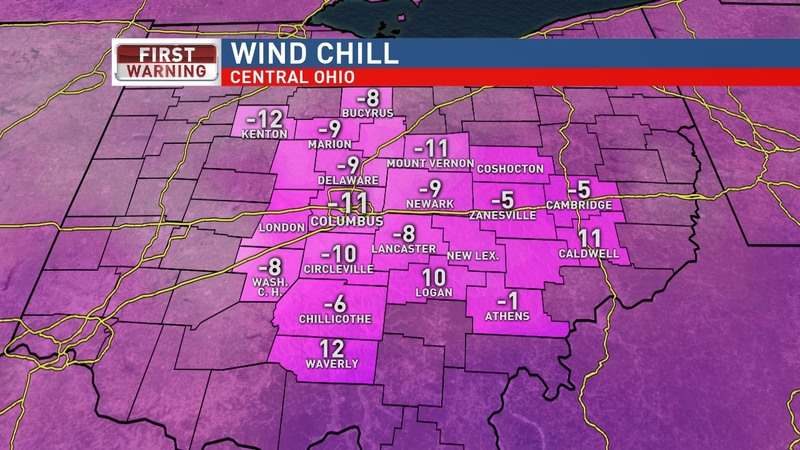 Early morning wind chills will be between -5 to -10 then staying between 0 to -5 most of the daytime hours. Lots of sun today and increasing clouds tonight and Friday. Another cold night tonight with lighter winds so wind chills will not be quite as cold, 0 to -5. 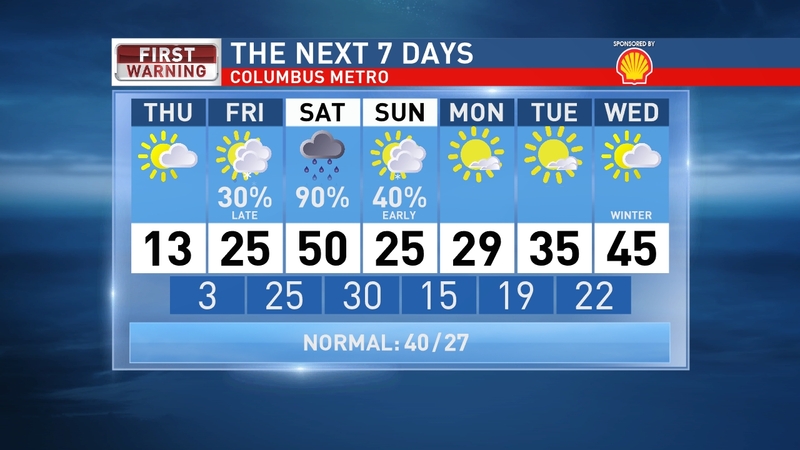 A wintry mix expected Friday night and early Saturday morning, including sleet and freezing rain possible overnight. We warm above freezing by daybreak and switch to rain showers for most of the day Saturday and even a rumble of thunder possible. Temps warm to low 50s Saturday then drop fast heading into Sunday with freezing temps returning and a few snowflakes by Sunday morning. Have a good one! 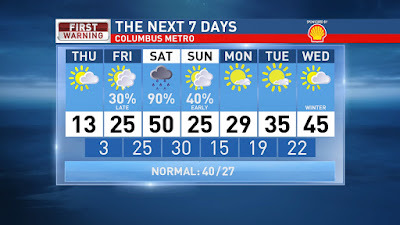 Goodbye warm weather, hello cold!